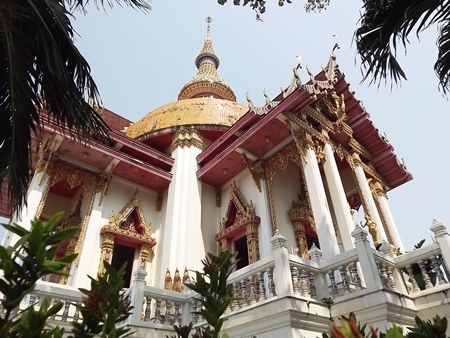 South Pattaya’s Wat Chaimongkol has been designated a royal temple, elevating what was once a private monastery in the area’s most important center of worship. 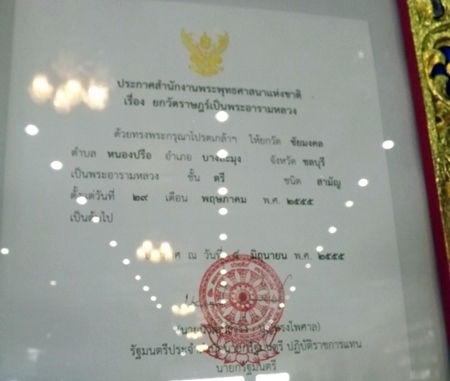 Formally named Wat Chaimongkol Wat Phra Aaramluang, the temple received a royal first-class appointment, denoting it as an honorary royal temple and head institution in the area. 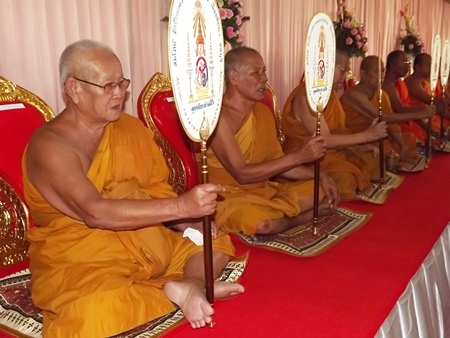 Top government and Buddhist officials celebrated the award with the start of a three-day festival Jan. 21. South Pattaya’s Wat Chaimongkol Wat Phra Aaramluang has been designated a royal temple. Abbot Pisan Jriyaphiwat welcomed Somdej Phra Phut Chinawong, the ecclesiastical governor of the region and president of the Dissemination of National Buddhism Committee. Also joining was former Culture Minister Sukumol Kunplome, Mayor Itthiphol Kunplome and top city elected officials. On each day of the ceremony, the monk committee chanted Buddhists prayers and stanzas to bless those attending. The president of the laymen’s group presented items to monks, while novices helped distribute prayer books. Each night, there were performances while vendors and merchants sold drinks to guests. Chaimongkol Temple was built in 1937 on land donated by Liang Khakhay with Provost Vibul Sangkhakan serving as the first abbot. The temple was royally granted land in 1954 and, in 1982, Vibun died and followers requested Samuhyien Mongkliko take over. He served until 2008, when Pisan was appointed. Next articleAre Commodities an asset class?